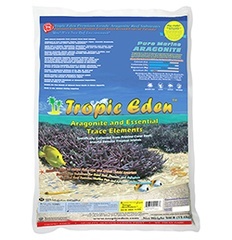 Contains broad spectrum of bacteria found in natural coral reef sandbed, boosted with specially selected strains of symbiotic marine bacteria and microbes for complete and efficient nitrification and denitification. Shorten cycling time, avoid dangerous ammonia strike. Suppress pathogenic diseases and nuisance algae! Carefully hand collected from offshore remote islands, absolutely Tropical Ocean Clean! No rinsing required! Picked and packed immediately in this special blue tray to ensure minimal disturbance to the sandbed fauna. Special low pressure packed and naturally preserved for Maximum Vitality and Freshness! Promote healthy microcosm like the natural coral reef!